This quote couldn't be more true! 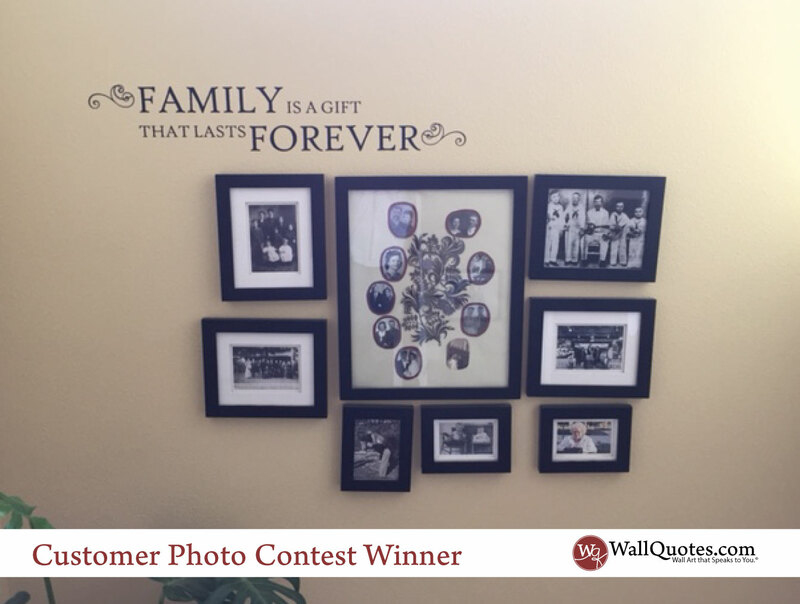 Kristi used our A Gift That Lasts Forever Wall Quotes™ Decal on her photo wall. I love how she placed it off center to give it more interst! Great job Kristi!